Spend the New Year in your new condo! Gorgeous 1 bedroom plus study in desirable Stonegate. Why rent, when you could own this former model home? This fantastic home has all the bells and whistles including upgraded light fixtures, laminate wood flooring, gas log fireplace, under cabinet lighting, and upgraded cabinets. And the best part is the attached tandem garage. No shoveling snow, no going outside. Direct access from the garage to this lovely home. 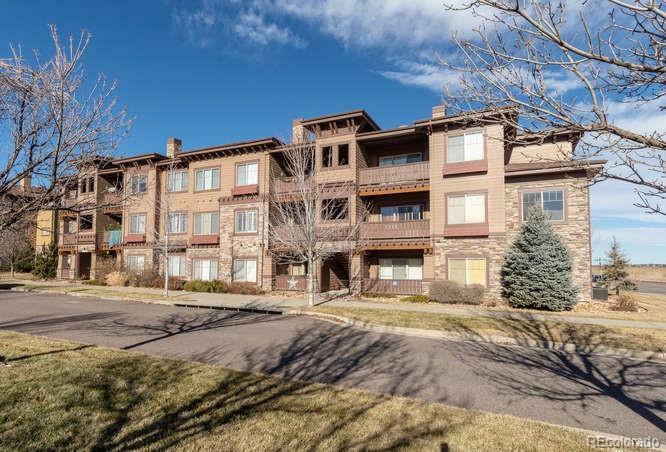 Spacious closets, full sized laundry hookups in the unit, plus a wonderful open and bright floor plan. Blackout shades included along with all kitchen appliances. Wonderful community in a convenient, easy Stonegate location. Don't miss out. Buy yourself the present you've always wanted....your own home! !